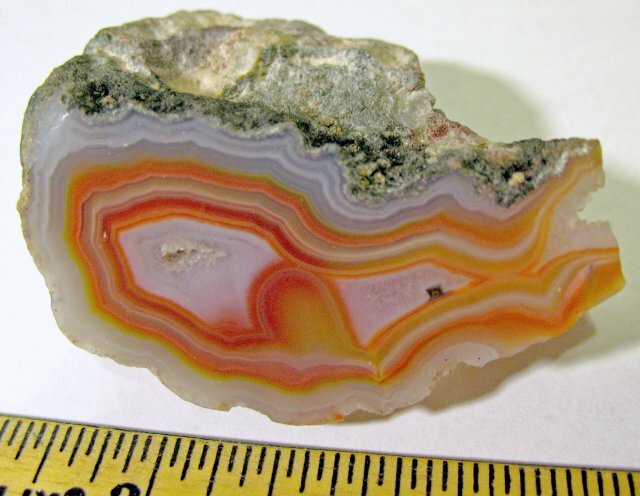 Mexican Agates for Sale: Laguna, Coyamito, Moctezuma, crazy lace, etc. Click on the thumbnail pictures to see the full-sized photos. Use your browser's back button to return here. Please order by stock number. SOLD. 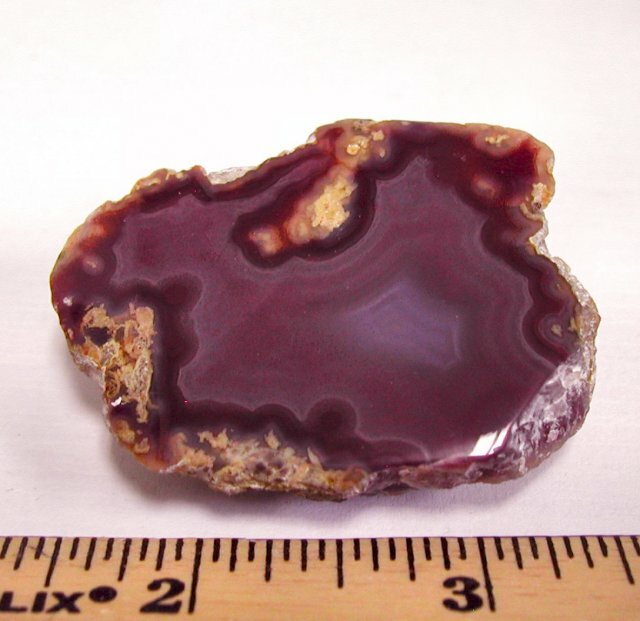 Classic Moctezuma agate half-nodule with a polished face. Side view here. 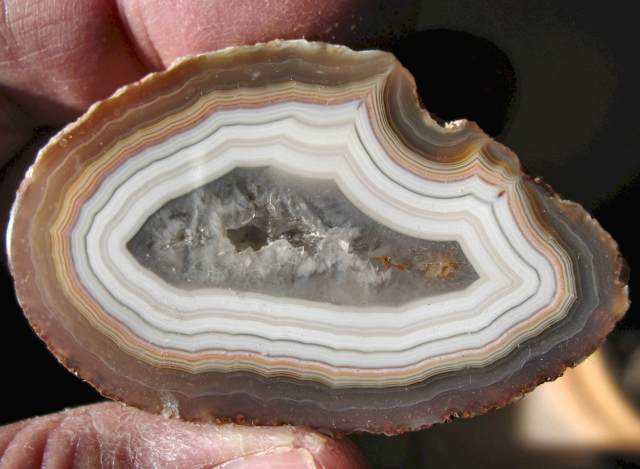 Excellent banding. 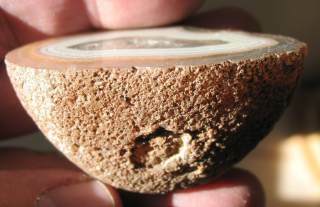 ~2-1/4" x 1-1/2" x 1-1/2". 3.0 oz. Stock #AMOC1. $20. To order, simply drop us an email or use our order form to check on the availability of the piece(s). For information on our acceptable payment methods, guarantee, shipping costs, and shipment preference see our Terms & Conditions page.